On the afternoon of January 10, the International Institute of Education convened a teaching and student working conference for foreign students in Room 301, West International Exchange Building. Jia Jucai, deputy director of the office of academic review, evaluation and construction, and deputy director of the Academic Affairs Office, attended the meeting. Leaders of the International Institute of Education and representatives of teachers and students attended the meeting. The meeting was presided over by Wang Haiping, president of the International Institute of Education. At the meeting, Deputy Director Jia Jucai first elaborated on how to serve undergraduate education and teaching in international exchange of education in light of the review and assessment work of our university. He pointed out that international exchange and foreign student`s education and teaching plays an important role in cultivating undergraduate talents in order to create a school atmosphere of international campus and promote the improvement of bilingual teaching ability of teachers. 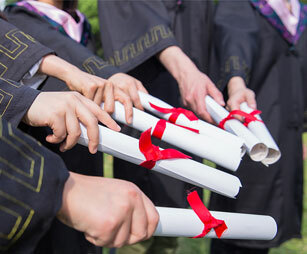 Lu Jianshuang, vice president for the undergraduate examination and assessment of the special inspection found in the process of the school found that the future in the professional and curriculum construction and teaching documents of foreign students should pay attention to the consolidation of the work. Subsequently, the Department of Pathophysiology, Faculty of Pathophysiology, Zhao Xiao Qi and Wang Xuefang, a Physiology Department instructor, gave an experience report on the management of foreign students and their teaching documents respectively. Finally, in his concluding speech, President Wang Haiping first affirmed the hard work of teachers and expressed his heart-felt thanks to the teachers who have long supported the teaching of the college. Subsequently, she introduced the basic situation of teaching students in our school, analyzed the current teaching management deficiencies, combined with the requirements of the school audit assessment and construction of teaching files and teaching students in the basic norms of teaching specific arrangements for the work, the requirements All teaching and research departments should conscientiously do a good job of sorting and perfecting construction archives and actively participate in the construction of curriculums and majors. Through the construction of the assessment, the quality and level of teaching for overseas students in our university will be continuously improved, laying a solid foundation for the healthy and sustainable development of international education.